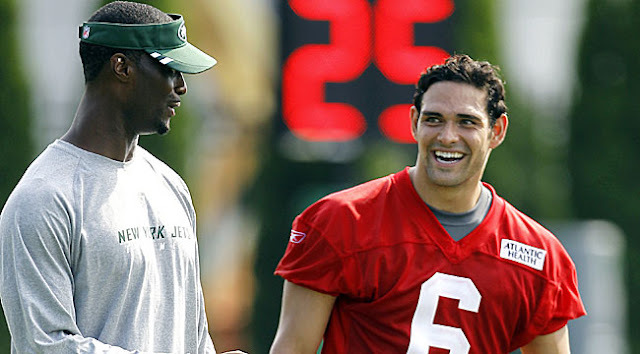 Training camps are open and free agent receiver Plaxico Burress remains unsigned, and Burress is baffled by that. Burress told ESPN’s Adam Schefter that he expected to have contract offers as soon as free agency started, and he assumed that in late July he’d be in camp with some NFL team. Burress caught 45 passes for 612 yards and eight touchdowns last season, and he said he’s in much better shape now than he was a year ago. And yet no team seems to have any particular interest in adding Burress to its roster. That may be a result of concerns that Burress is more trouble than he’s worth in a locker room, but Burress said any perception that he’s not a good teammate is false. Age is surely a factor in teams turning away from Burress. He’ll turn 35 in two weeks and isn’t as fast as he was when he was younger. In fact, Burress was already showing signs of slowing down even before he accidentally shot himself in the leg in 2008, ending his tenure with the Giants and landing him in prison for two years: Burress’s average yards per catch had declined for four consecutive seasons prior to his prison sentence. But Burress says he doesn’t know why he’s not getting a chance. “Some things you don’t have an answer to, but to me it’s just a matter of keep working hard, keep training, and keep building myself up to get back to the player I know I can be,” Burress said. Burress may know he can be a productive NFL wide receiver, but 32 NFL general managers remain unconvinced. The issue of closing windows came up a lot around the Cowboys this offseason. Jason Witten fretted about it, but Tony Romo felt that was going too far. DeMarco Murray thought the window was wide open, DeMarcus Ware felt it shutting and Jerry Jones proclaimed that he was the only one who decided about the position of the window which, for the record, he implied would close on someone’s neck if the Cowboys didn’t make the playoffs. We may have missed a couple of examples, but that should suffice for qualifying how often the topic came up. 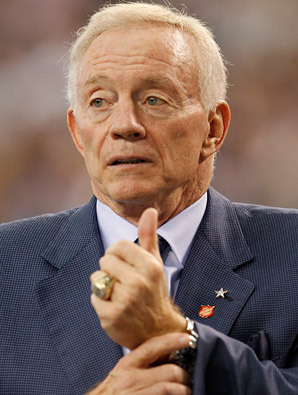 If Jones has his way, there won’t be any more window talk for the Cowboys. On the eve of the start of training camp in Oxnard, California, the Cowboys owner said it was time to leave discussions about windows to the folks at Microsoft. As you can see, everything that can be said about this topic has already been said so we thank Jones for putting it to rest once and for all. And we thank him even more for saying something that makes it hard to remember anyone was talking about windows at all. We’re not even going to begin to weigh in on how open that might be for the Cowboys. Adrian Peterson has long maintained a goal of playing in Week One of the regular season, but he was always iffier about his chances of getting on the field at the start of training camp. That hedge turned out to be a wise one because Peterson is on the phyiscally-unable-to-perform list for the Vikings as their training camp gets underway. Coach Leslie Frazier said that the team felt it was the right move at the time and that Peterson would be regularly evaluated by the medical staff in hopes of shedding the designation. Frazier also said that Peterson didn’t accept the news without a fight. The move isn’t surprising. Peterson can come off the PUP list at any time, but he can’t go back onto it once he participates in a practice and therefore would be ineligible for the reserve PUP list that goes into effect at the start of the regular season. The Vikings don’t anticipate needing that, but a little caution now isn’t the worst thing. As long as all signs keep pointing to Peterson being ready for the regular season, there’s no reason to be alarmed by Friday’s decision. 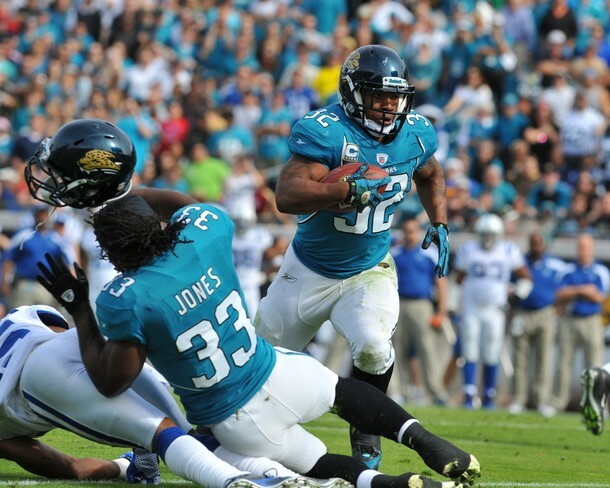 There’s not much middle ground between the Jaguars and running back Maurice Jones-Drew. He wants a new contract, and owner Shad Khan says Jones-Drew isn’t getting one. To get Jones-Drew into camp, someone will have to blink. We’ve seen this movie before. The two sides seem to be completely dug in. And then there are two possible endings. The player tucks tail ‘twixt the hamstrings and shows up — or the owner, G.M., or head coach decide that he’s had enough and just wants the player back. The primary question is when will that happen? The secondary question is whether there will be an effort (successful or otherwise) to save face. For example, Khan could adjust the two remaining years on Jones-Drew’s current deal and claim that the player didn’t actually get a new contract. For example, Jones-Drew could be given most of the remaining cash on his contract ($4.45 million in 2012, $4.95 million in 2012) this year, the minimum salary next year, and language that voids the contract if he reaches certain performance levels in the coming season. That way, he’d get more money now, and potentially become a free agent in March. Regardless, we’re no longer buying the “honor your contract” argument. This isn’t a normal contract. The same system that lets the teams tear up contracts whenever they want also allows the players to take the calculated risk of holding out. If, after all, the NFL didn’t want players to have the ability to “violate” their contracts, the labor deal would contain a term that, for example, prevents the player from playing for any team in a given year if he doesn’t report to training camp on time. Yes, the current system lets teams break contracts without repercussion. And it also lets players hold out, if they’re willing to pay daily fines of $30,000 and to refund specific bonus payments that are subject to forfeiture. Any player willing to assume that risk should be allowed to do so. If he guesses right regarding his value to the team, he may get what he wants, or at least something close to it. The owners, of course, don’t have to give in. And it wouldn’t surprise us if the folks at 345 Park Avenue are urging Khan to hold firm. It also wouldn’t surprise us if Khan, with still-fresh feeling of gratitude to 345 Park Avenue for letting him into the club, is willing to take one for the 32-member team that doesn’t like it when players take advantage of their ability to get more by holding out. Free agent receiver Roy Williams is finally drawing some interest. Williams is in Houston for a tryout with the Texans on Thursday, his agent Ben Dogra told the Star-Telegram. Williams was one of several well-known free agent receivers who found it hard to find any suitors this offseason. Others on that list include Braylon Edwards, Plaxico Burress and Terrell Owens. But now Williams will get an opportunity to prove he can still play with the Texans, where he’d have a chance to be the No. 3 wide receiver behind starters Andre Johnson and Kevin Walter. 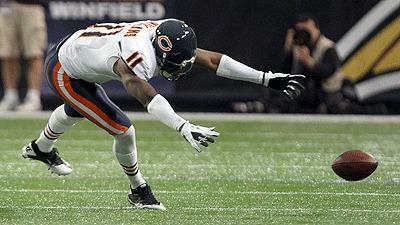 Last season Williams caught 37 passes for 507 yards and two touchdowns with the Bears. A 2004 first-round draft pick of the Lions, Williams was traded to the Cowboys in 2008 and was viewed as a disappointment in Dallas. Upon further review, signing Mike Peterson was a sign. 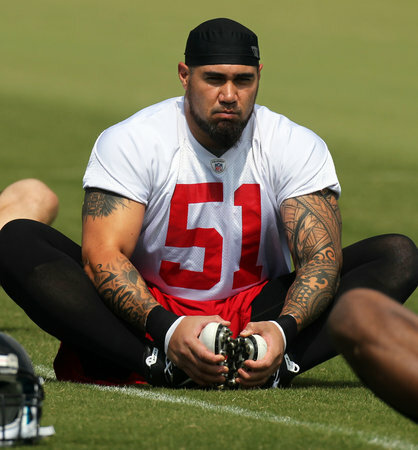 Falcons coach Mike Smith announced Tuesday that linebacker Lofa Tatupu will miss the entire season with a pectoral injury suffered in the weight room last week. Tatupu missed all of last year, amid suspicions he was breaking down physically after knee problems and a string of concussions with Seattle. He was expected to compete for a starting job with Akeem Dent, but Dent will likely make that one his own, allowing them to use Peterson as a backup as they did last year. Tatupu signed a two-year deal with a $600,000 signing bonus, which was a significant guarantee for a guy who didn’t play the year before. As expected, the Browns have worked out a contract with the third overall pick in the draft. 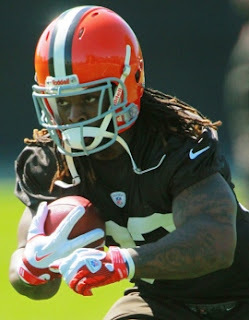 Running back Trent Richardson has agreed to terms, according to a source with knowledge of the situation. The contract pays Richardson a signing bonus of $13.341 million, along with base salaries of $390,000 in 2012, $1.321 million in 2013, $2.252 million in 2014, and $3.184 million in 2015. Like all first-round picks, the team holds an option for the fifth-year. The Browns will be able to retain Richardson’s rights for 2016 by offering the average of the ten highest paid running backs in 2015. The contract is fully-guaranteed, with no offset language. The Browns moved up from the fourth pick to No. 3 to get Richardson, whom they hope will have an instant impact on the team’s running game — in turn opening up the passing game. To get the most out of the running game and the passing game, the Browns need to get their other first-round pick signed. Quarterback Brandon Weeden, the 22nd pick in the draft, reportedly wants his four-year deal to be fully guaranteed. It’s a fairly smart move, given that there could be a new regime in Cleveland by 2015 — and Weeden could be getting the same treatment that 2010 third-rounder Colt McCoy is about to get. 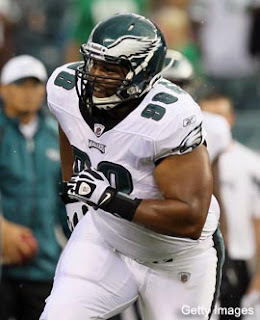 Eagles doctors discovered an arteriovenous malformation (AVM) in defensive tackle Mike Patterson’s skull following last year’s lockout. A brain AVM is a tangle of blood vessels in the head. Doctors ultimately cleared Patterson to play football in 2011, putting off treatment until after the season. Patterson underwent surgery in January, and the Eagles were convinced he’d be healed by training camp, after six months of rehab. Head trainer Rick Burkholder revealed to reporters Sunday evening, however, that Patterson is not recovered and will not participate in training camp. As relayed by Jeff McLane of the Philadelphia Inquirer, Patterson has been placed on the non-football injury list with “no timetable for return.” Burkholder stated Sunday that the organization believed Patterson would be healed by now, “but he’s not,” and “it could be a couple months” before he’s ready to play football. If Patterson fails to receive medical clearance before Week One, the Eagles could place him on reserve/NFI, costing Patterson the first six regular season games. They could reevaluate his recovery after that point. For now, it looks like Patterson won’t be ready for the start of the season. Patterson has been a starter for the Eagles since his rookie season in 2005. In 15 games last year, he collected 35 tackles and 2.5 sacks. Philadelphia will likely ask more of first-round pick Fletcher Cox during Patterson’s absence. Either way, for a team we like to bounce back in 2012, this was not an ideal start to camp. photo: Getty Images via Yahoo Sports! What was supposed to be one of the competitions to watch in Falcons camp might not be much of one early. Falcons coach Mike Smith announced Saturday, via the team’s official website, that middle linebacker Lofa Tatupu suffered a pectoral injury while working out Thursday. “At this point, we do not know the extent of the injury, but we expect to have more information early next week,” Smith said. The Falcons were expected to choose between Tatupu and Akeem Dent to fill the middle linebacker job vacated when Curtis Lofton went to New Orleans. Tatupu, a former All-Pro with the Seahawks, was out of football last year, and was thought to be over the injury issues that plagued the end of his Seahawks run. The Falcons open training camp next Thursday. (UPDATE: 12:15 p.m.) The Atlanta Journal Constitution’s terming it a “serious” injury, saying Tatupu will miss the start of camp, and will see a specialist to determine the severity of the injury. In a move that makes last year’s excellent parody video seem prescient, former NFL quarterback Brett Favre has become a high school football coach. Oak Grove served as the location for workouts by Favre as he prepared for his multiple unretirements from 2008 through 2010. He played for the Falcons, Packers, Jets, and Vikings in a career that spanned 20 seasons. Last year, Favre worked once as an TV analyst for a football game involving Southern Mississippi, his alma mater. 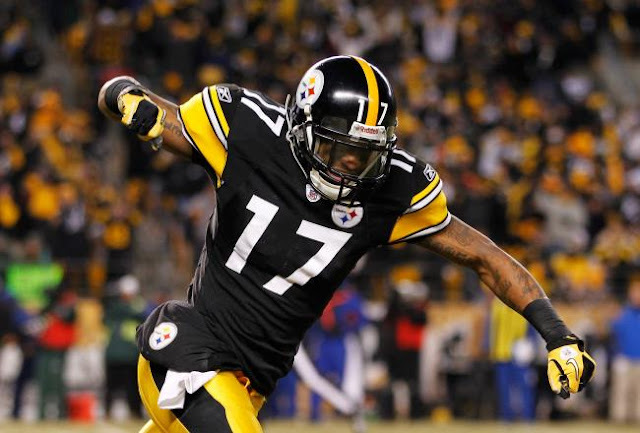 The Steelers and restricted free agent receiver Mike Wallace may finally be getting close to agreeing to a new contract. With training camp drawing near, the Steelers and Wallace’s camp are in close contact and there has been some movement, with both sides interested in getting a long-term deal done, according to Jason La Canfora of CBS. Wallace has so far shown no interest in signing the one-year, $2.7 million restricted free agent tender, and there have been suggestions that Wallace would skip all of training camp rather than sign the tender in July or August. If Wallace missed all of training camp and signed just before the start of the season, he could still play in all 16 games and make the full $2.7 million, but he would enter the season way behind in new coordinator Todd Haley’s offense, which would be a problem both for the Steelers and for Wallace, who will want to have a big year in 2012 if he signs the one-year tender and tries to cash in with a new contract as a free agent next year. The best-case scenario for both sides is Wallace and the Steelers finding common ground on a contract before training camp starts in six days. But even if they’re making progress, that’s an awfully optimistic scenario. That’s because Robert Griffin III put his name to a contract today, becoming just the second player in the top 10 to get a deal done. The Washington Redskins have their quarterback signed, sealed and delivered before training camp. “Well people....It's Time to go to Work!!! Off the unemployment line and oh yea HTTR!!! !” Griffin wrote on his personal Twitter account. 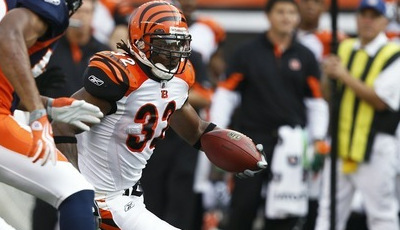 Despite three consecutive 1,000-yard rushing seasons, Cedric Benson remains a man without a team. We've heard for months that the Oakland Raiders are eyeing the former Cincinnati Bengals running back, but the Silver and Black, along with the rest of the NFL, hasn't pulled the trigger. When Rich Gannon and Adam Schein of "SiriusXM Blitz" spoke with Benson on Tuesday, they encountered a man down on his luck. Wow, emotional interview with Cedric Benson who wants in the worst way to be with new team in a training camp. This guy is hungry&motivated! Benson said he has fielded "check-ins" from the Green Bay Packers and New York Jets, along with the Raiders. He turns 30 this season but said he has no interest in taking the veteran minimum. Teams have stayed away from Benson and his flurry of previous off-the-field issues, but he delved into a Mike Gundy-like "I'm a man" rant, according to Schein, suggesting he won't become a headache. It would be intriguing to see Benson added to New York's ground-and-pound attack. The Jets' backfield doesn't scare you behind Shonn Green, and Benson would give them a veteran weapon still capable of cranking out yardage. The Oakland Raiders appears to be the front-runner, but injuries around the NFL could solve Benson's unemployment problem in a flash. 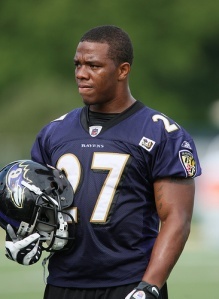 After four years of slotted second-round money, Ravens running back Ray Rice is getting paid. Plenty. A source with knowledge of the contract has shared the full details. Next year, a $7 million option bonus is due in March, with a $1 million base salary. The option bonus is guaranteed for injury; as a practical matter, the base salary is guaranteed, too, because the Ravens won’t cut him in 2013 if they pay the $7 million. And if they don’t pay the $7 million, Rice will have made $17 million for one year. In 2014, Rice is due to earn a base salary of $4 million. In 2015 and 2016, Rice is due to earn a base salary of $3 million each season. The deal also includes a $5 million one-time incentive/escalator. If he reaches specific rushing/receiving targets in any of the first three years of the deal, and if the team finishes in the top 10 in total offense, Rice receives a $1 million incentive in he year he accomplishes the feat — and another $4 million is spread over the remaining years of the deal. For example, if Rice hits the trigger in 2012, he’ll add $1 million to his $17 million haul, and another $1 million per year to the balance of the deal. If he does it in 2014, he gets $1 million then plus $2 million in each of the final two years of the deal. As to the final two years of the deal, the $3 million salary is light. So if he’s still playing at a high level then, he can hold out for more. With at least $29 million earned, he’ll be able to afford the daily training-camp fines. Most importantly from an internal accounting standpoint, the contract reduces Rice’s cap number in 2012 from $7.7 million to $5 million, creating an extra $2.7 million in much-needed space. Previously, the Ravens had less than $700,00 in wiggle room. Drew Brees took care of some important business Sunday. Took some pictures with fans, ordered food and signed a $100 million contract, not necessarily in that order. Brett Martel of the Associated Press caught him at the restaurant, where Brees said he looked forward to getting back to work. Brees only did one interview with WWL Radio Friday night, so Martel wins the Sunday Hustle Award, unless he just happened to be getting lunch. Brees said he had numerous conversations with interim coach Joe Vitt and backup quarterback Chase Daniel, but looks forward to seeing a new look on defense, hoping new coordinator Steve Spagnuolo’s system gives him a challenge when camp starts. 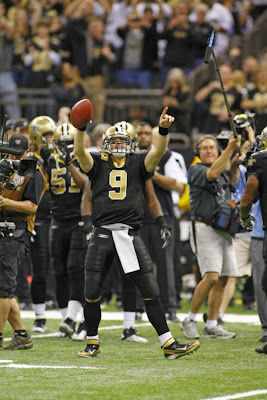 “I just look forward to getting back to work,” Brees said. “It does feel like it’s been a while since I’ve been out there with my guys and we were running our offense. Deadlines continue to make effective kick-starts for negotiating long-term deals. Of the 14 franchise-tagged players who hadn’t signed mullti-year deals, two have reached long-term riches in the last 26 hours (Drew Brees and Tyvon Branch). 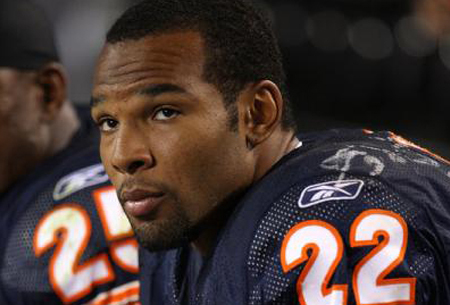 A third could be joining them soon, as the NFL Network’s Michael Lombardi reports the Bears are “extremely close” to a contract with running back Matt Forte. Teams have until Monday to reach long-term deals with tagged players, or they can only sign for one year. Forte didn’t sign his one-year, $7.749 million tender, and didn’t work out with the Bears this offseason awaiting the deal. In Detroit, defensive end Cliff Avril told Dave Birkett of the Detroit Free Press he wasn’t feeling optimistic. Forte and Avril are two of the six tagged players who didn’t sign their tenders, along with 49ers safety Dashon Goldson, Chiefs wide receiver Dwayne Bowe, Jaguars kicker Josh Scobee and Ravens running back Ray Rice. Wide receiver Mike Williams revived his career with a big 2010 season for the Seahawks, but he won’t be around for a third year in Seattle. The Seahawks announced Friday afternoon that they have released Williams. 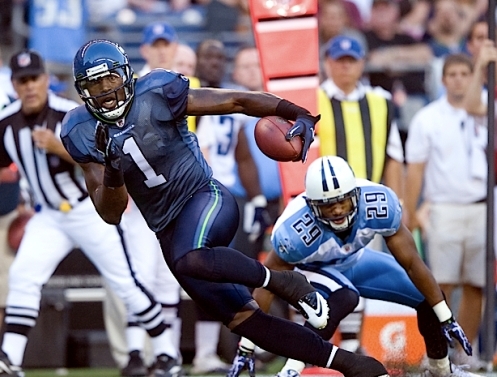 The 10th overall pick of the 2005 Draft had 65 catches for 751 yards for the Seahawks in 2010, his first season with the team after failed stints in Oakland and Tennessee following his departure from Detroit as one of Matt Millen’s many draft misses. The big season got Williams a new contract in Seattle, but he caught just 18 passes in 2011 and is trying to come back from a fractured fibula suffered late last season. “We would like to thank Mike for his contributions over the past two seasons and we wish him well in the future,” said General Manager John Schneider in a release from the team. The move solidifies Sidney Rice, Doug Baldwin and Golden Tate as the top three receivers with the Seahawks. Williams’ departure means that Ben Obomanu, Ricardo Lockette, Kris Durham and Deon Butler are left in the competition for spots behind them on the depth chart. Injuries and weight issues have hampered him throughout his career, but his size will likely make him intriguing enough to get looks around the league. Williams wasn’t able to work in the spring because of his leg injury, though, and he’ll have to show he’s healthy before he lands with another team. After missing six weeks of the 2011 regular season, the postseason, and all of the offseason training program with a foot injury, Texans quarterback Matt Schaub is back, baby. 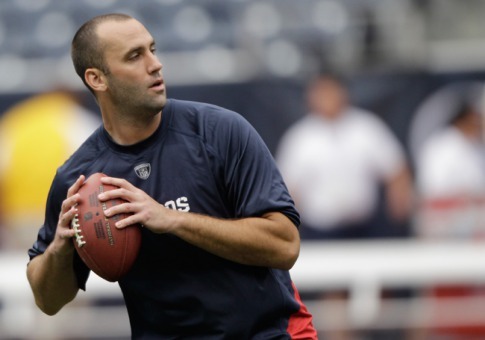 According to Paul Kuharsky of ESPN.com, Schaub has gotten the “green light” to practice when training camp begins. The go-ahead came from Dr. Robert Anderson, who repaired the Lisfranc injury suffered when former Buccaneers defensive tackle Albert Haynesworth brought Schaub down during a game last November. John McClain of the Houston Chronicle said during an appearance last week on PFT Live that the team won’t be giving Schaub a new contract until he proves that he’s healthy. A league source has since told PFT that there have been “early discussion” on a new deal, but that it likely won’t be finalized until after the season, at the earliest. Former Redskins and Panthers running back Stephen Davis said Wednesday he’s beginning to have problems with short-term memory, and he added another name to the growing docket of concussion lawsuits. Davis, 38, told Nathan Fenno of the Washington Times he’s having trouble remembering conversations with his wife or paying bills. “Looking at the results and they’re not that good,” Davis said of a recent visit to a neurologist. “I need to get special treatment, further treatment to try and get it taken care of. Davis filed his lawsuit last week, one of more than 2,600 former players to have done so. He said he can’t remember how many concussions he sustained, but said there would be multiple ones in the span of a few weeks. “The coaches and doctors try to get you back on the field regardless of if you’re hurt or not hurt or have a concussion,” he said. “It’s more about getting you back on the field than making sure you’re OK.
Davis said he needs background noise like a television to drown out the ringing in his ears, and complains of severe headaches. There are physical issues too from his career as a bruising runner, who amassed 8,052 yards and 65 touchdowns. He needs a knee replacement and is having shoulder problems as well, making getting out of a bed or a car an issue. 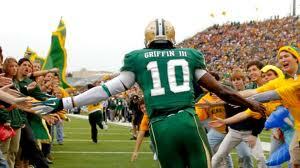 We now have living, breathing proof that Robert Griffin III is one of the NFL's more cerebral young passers. You might recall how the Washington Redskins rookie narrowly avoided the claws of one of our nation's more troubling man-eaters. 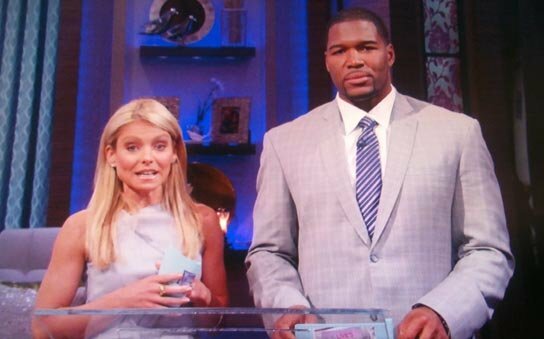 When Kim Kardashian spotted RG3 at a live taping of "30 Rock" in April, she zoned in on him. Jack Burditt, the show's executive producer, told "The Rich Eisen Podcast" that he advised Kardashian: "You stay away from him. This is a nice young man." Naturally, the topic came up when RG3 appeared on Eisen's podcast via telephone on Tuesday. RG3 -- who's engaged -- made it clear he has zero interest in courting the minx. 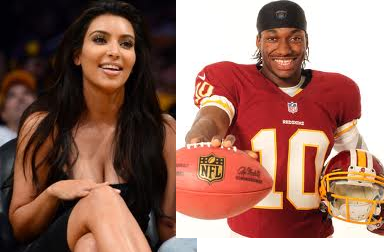 "I heard the Kim Kardashian story and she was there and I guess that's all I could say about that," RG3 said. "There is no there, there. So people can calm down, don't worry." The Redskins have drafted an intelligent young man. 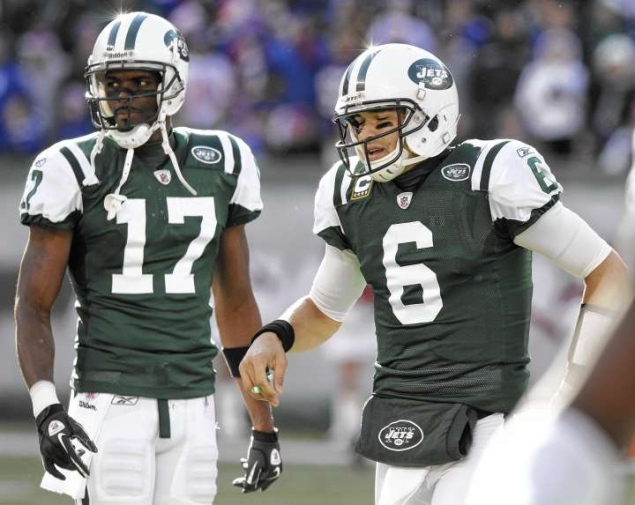 Former New York Jets receiver Plaxico Burress says there is a reason why the Jets didn't throw many vertical passes last year. Mark Sanchez was battling an unknown sholder injury. 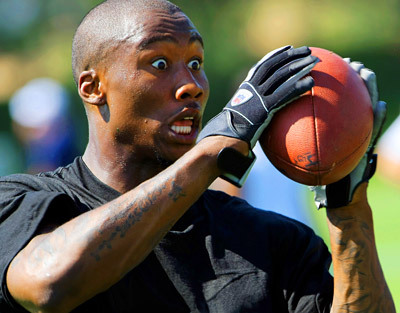 "He definitely has enough arm," Burress told WFAN-AM on Monday, via ESPN.com. "He was battling some injuries last year, shoulder-wise that a lot of people didn't know about ... different things like that. But I think he really turned a corner." Sanchez never was on the Jets' injury report for a shoulder injury. 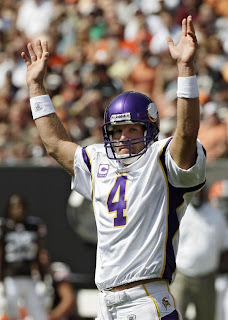 Then again, the Jets never revealed how hurt Brett Favre's shoulder really was at the end of the 2008 season, either. Sanchez was known to have a neck injury late in the season, but the Jets' inability to throw deep was a season-long problem. Burress has to be wondering if he's going to find a job again. The July 16 deadline for signing franchise-tagged players to long-term deals doesn’t apply only to those who have yet to sign their one-year tender offers. Those who have accepted the one-year contract also must complete a multi-year contract before July 16 at 4:00 p.m. ET. That applies most prominently to Patriots receiver Wes Welker. Greg Bedard of the Boston Globe reports that, as to the possibility of a multi-year extension, the team and the player currently have a gap of roughly $6 million in guaranteed money. Welker already is due to earn $9.515 million in 2012. By rule, it would cost the Pats $11.418 million to use the tag again on Welker again in 2013. And while that justifies Welker seeking $20.933 million guaranteed, it also presumes the Pats would tag him again. Maybe they won’t; maybe they’ll decide to let the undersized wideout hit the market at age 32, forcing him to choose between taking more money with a lesser team or less money to stay with a team that consistently will be in the hunt for a championship that Welker personally has yet to win. The talks may have gotten no better since then, but it’s hard to imagine Welker being anything other than Tom Brady’s sidekick, even if it means taking less than Welker would get under two years of the franchise tag. The Houston Police Department says Vikings running back Adrian Peterson pushed an off-duty officer before he was arrested for resisting arrest at a downtown bar early this morning. Department spokesman Kese Smith told the Houston Chronicle that Peterson got into an argument with the officer, who was working an extra job at the bar. “The officer informed Peterson and the group that the bar was closed and asked them to walk toward the nearest exit,” Smith said. When the officer repeated his request, “That’s when Peterson told the officer that the group had heard him the first time and pushed the officer in the shoulder, causing him to stumble,” Smith said. The police say it took three officers to handcuff Peterson. When he was taken to jail he complained of shortness of breath and was examined by the Houston Fire Department but was found to be fine. 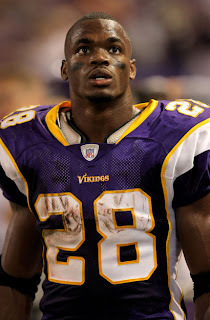 The manager of the bar told TMZ that Peterson was very drunk and a difficult customer all night. Not the first words that come to mind of when you conjure up images of a thief's bounty, but times are changing. 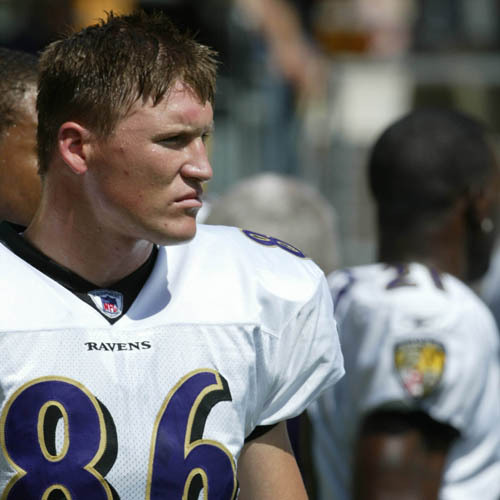 A juvenile was arrested and charged with first-degree burglary and petty theft this week after stealing a football signed by the former Baltimore Ravens tight end, according to The Baltimore Sun. Police said the young burglar sliced his way through the screen door of a house in Towson, Md. He "ransacked and destroyed" the home before leaving with the signed football and a Ravens replica Super Bowl ring. Heap, a former All-Pro, is currently a member of the Arizona Cardinals. We doubt Heap advocates marauding by our nation's youth and we have no confirmation what led to this sudden fervor for the 32-year-old tight end. Outside of the legal battle over the bounty suspensions, there’s not much actual football news being made right now. Last week, a report that David Garrard was the early leader to be the Miami Dolphins starting quarterback surfaced. The Palm Beach Post supported that report, but also went one step farther in its assessment of the Dolphins quarterback battle. First-round pick Ryan Tannehill is apparently not under consideration at the present time to be the 'Phins starter. That's because he has been making too many mistakes throwing the ball into traffic, according to the report. Chad Ochocinco takes a fair share of abuse on this website and others, but his latest antics deserve only praise. 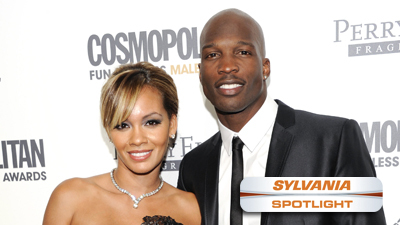 One day before his wedding to Evelyn Lozada, Ochocinco received a tweet from a woman named Cheryl Minton, who asked the Miami Dolphins wideout for encouragement and prayers after her husband passed away in June. The woman clearly is in a tough spot. Ochocinco invited her to a happier one. You have a passport? RT @cheryl2958: I'm feeling pretty low today. Lost my hubby 2 weeks ago. Together 30 years. Very hard. Can you pack and come to the wedding? RT @cheryl2958: @ochocinco Yes I do. Check ya DM... Just start packing... Evelyn will make arrangements... see you tonight/early a.m. RT @cheryl2958: Yes.where is it? @ochocinco o. Ok. I'm flabbergasted! I love you! Ochocinco periodically is a nuisance, but there's no denying his heart on this one. From the wide angle, Ochocinco's issues with the New England Patriots' playbook are relatively meaningless. His place in the world is secure, no matter how long he plays. Good work, sir. Sean Payton’s bad 2012 isn’t getting any better. Payton, the Saints head coach who is suspended for the year for his role in the team’s bounty program, is getting divorced, according to the New Orleans Times-Picayune. Beth Payton is also asking for the exclusive right to make decisions about the medical, legal and educational interests of the couple’s two children, and she has requested that Sean Payton pay child support. July 11 is Sean and Beth Payton’s 20th wedding anniversary. Matt Forte dodged questions about his contract situation on Friday as well as he has ever dodged defenders on the field. But the Chicago Bears running back did not indicate that skipping any portion of the regular season was part of his plan as he aims for a long-term contract. The Bears have placed the franchise tag on Forte and the sides have until July 16 to hammer out a multi-year deal. Otherwise, Forte will have to play this season under the one-year tender that is worth $7.7 million. “I'm still here, for now,” Forte responded to a student at Marist High School when asked if he will suit up for the Bears this season. Forte was making a charity appearance and pretty much did an end-around when he got questions about his situation. Obviously, there are no lingering questions about Forte’s sprained knee because while he missed the final four regular-season games, he received clearance to play in the Pro Bowl. The offseason will not be much fun if it doesn’t provide the long-term deal he’s been after.